This was captured during sunrise on the second morning of a late winter storm system that moved throughout Arizona in early March of 2013. 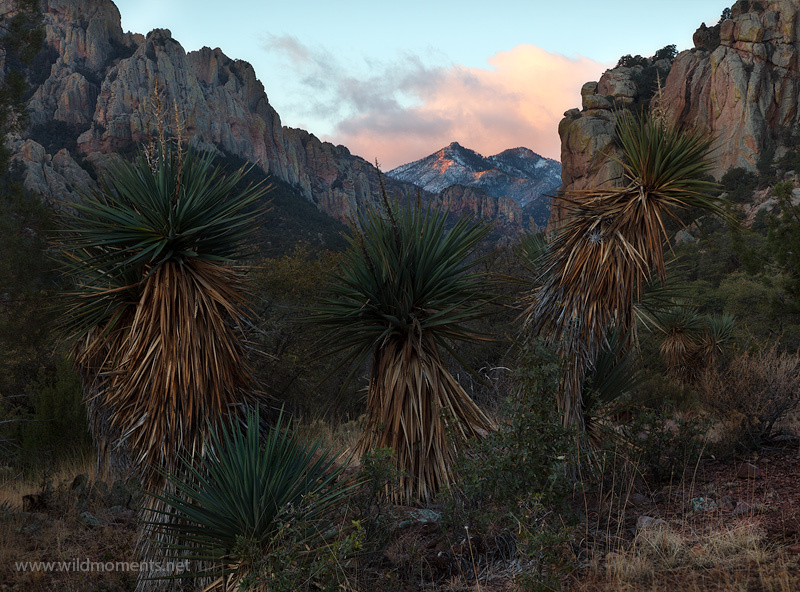 You are looking at the portion of the majestic eastern side of the Chiricahua Mountains located near Portal, AZ. This was captured near the entrance to Cave Creek Canyon. Photo © copyright by Michael Greene.